Ever since I got back from Turkey, I’ve been using the milk_shake Sweet Camomile Shampoo and Conditioner and loving the results that it has given my hair. Its the best shampoo that I’ve found for leaving my hair deeply nourished but not weighed down. You can read my review of the duo along with some other milk_shake products on my blog here. milk_shake are a great haircare brand whose products contain only the freshest ingredients. They are only available exclusively from their online store and from selected salons nationwide. 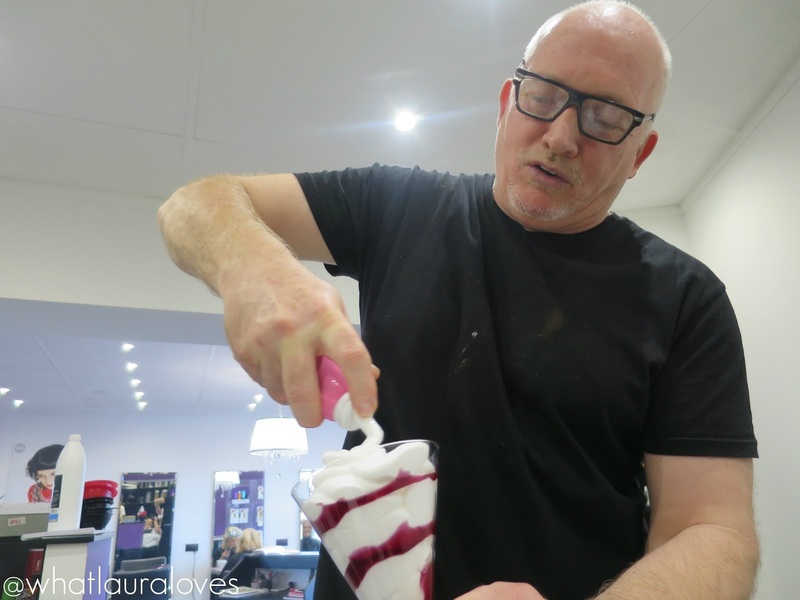 They also have a range of high performing, incredible smelling in-salon colours and treatments, including their new Cocktail Treatment, and styling products that some of the top stylists in the country are using to transform so many peoples hair. All of their products include a blend of milk and yoghurt proteins and real fruit extracts alongside other natural ingredients such as mint, beeswax and almonds. All of the active ingredients within the milk_shake line are chosen specifically for their long-lasting effect on the health and appearance of the hair. 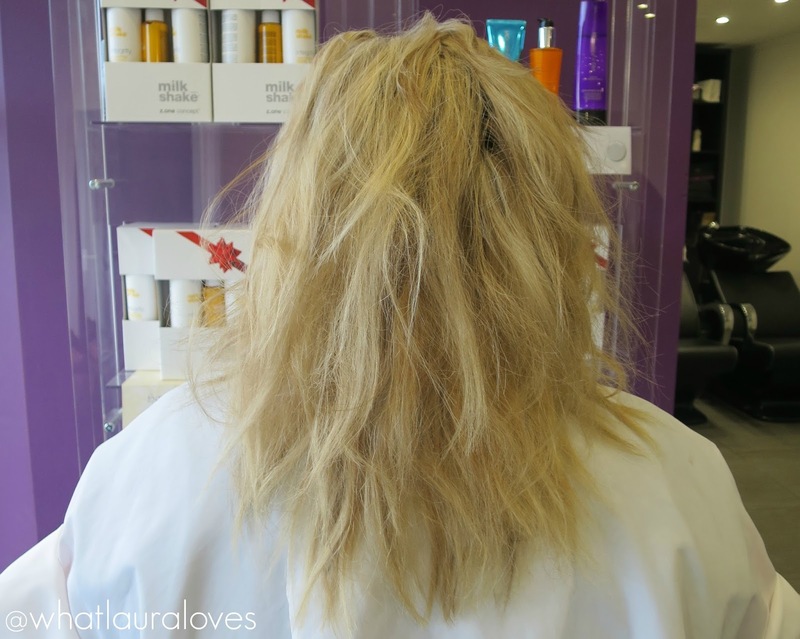 They’re selected to leave the hair looking manageable, vibrant and radiant. 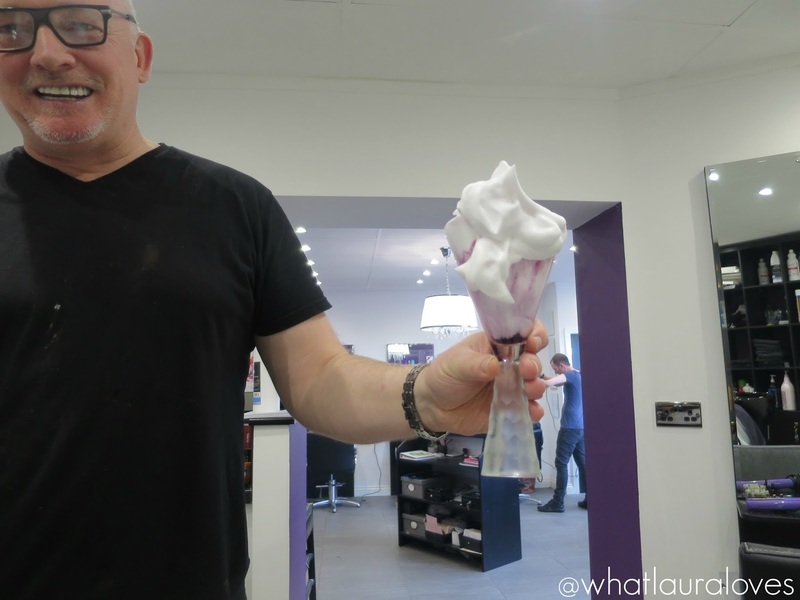 This week, milk_shake treated me to a blowdry and cocktail hair treatment by milk_shake ambassador and celebrity hair dresser, Neville Ramsay, at the A List Salon in Sunderland. He’s styled the likes of Sting, Jodie Kidd, Dame Zandra Rhodes and Gareth Pugh so I was confident that I would be in safe hands. Until 31st December, milk_shake are treating clients to a free cocktail treatment worth £15 when they book in for a blowdry at selected milk_shake salons. 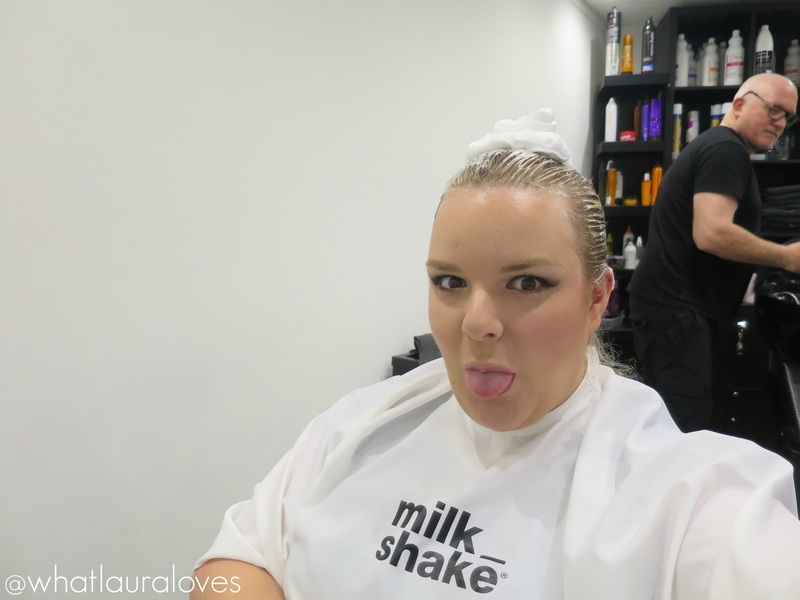 They wanted me to try out the offer which works as a perfect seasonal pick me up for hair whether you’re looking for a little pre-party season pampering or a quick and effective makeover in your lunch break. When I arrived at the salon, Neville completed a thorough consultation with me about my hair, asking me how it usually is, what my concerns are, etc. I explained that I have super oily roots but dry ends. At the time that I went for my blowdry, my hair hadn’t been washed for three days and had a build up of dry shampoo and hairspray in it. Neville then explained what the cocktail treatment is and how it would work on my hair. It is an exclusive treatment that milk_shake have created that is tailored to your hair concerns so that you get the best possible results. There are two special treatment services that are specifically formulated to target different hair issues. The first is the Argan Cocktail which ideal for those with dry hair that is in need of a boost of hydration and shine. The second is the Direct Colour Cocktail which is a conditioning colour reviving treatment for natural or colour treated hair. This is the treatment that Neville recommended that I have on my hair. Both of the treatments use the conditioning milk_shake Whipped Cream which has the most incredible toffee scent. They’re applied at the backwash where your hair is first washed using the milk_shake shampoo that is most suited to your hair. For me, that was the Integrity Shampoo which is one of Neville’s hero products. He loves to use it on his clients hair to condition and nourishes it while taming frizz. After shampooing, the milk_shake cocktail is then created in front of you from a menu that has been devised to show the client exactly what is going into their hair-reviving treatment. For the Argan Cocktail, the hair dresser combines the bestselling Whipped Cream with the milk_shake shine injecting Glistening Argan Oil to make even the driest locks look glossy. This treatment doesn’t need to be rinsed out so it is a great time-saver as it is applied to the hair and then blowdried into the hair. I had the Direct Colour Cocktail treatment and to create it, Neville swirled the Direct Colour around in the huge cocktail glasses and then added the Whipped Cream before mixing the two together, just like a real cocktail. It looked so effective and really cool in the glass. Then he added it to my wet hair from the roots right to the tips and combed it through. Neville is a fun loving guy so gave me an extra swirl of the Whipped Cream to make me look like a human ice cream in this silly photo! He explained that the treatment doesn’t just give an effect on the surface of the hair; it works internally to rebuild the structure of the hair so it has lasting results that will withstand future shampoos. 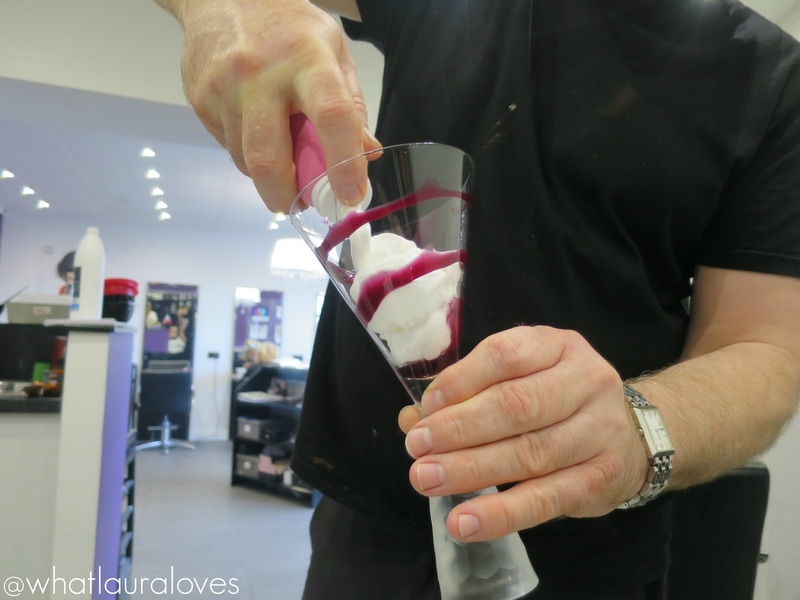 The Direct Colour Cocktail is left on the hair for around half an hour before being rinsed out and then the hair is blowdried into whatever style the client would like. I chose a big, bouncy blowdry and Neville blowdried my hair accordingly and added some heated rollers for added height and bounce. I was so happy with the result as I felt as though the cocktail treatment had really revived my hair colour and left my hair with a beautiful, natural shiny that looked healthy and caught the light so well. You can really see a difference between the before and after shots of my hair and I love how my hair felt and looked full of life after my blowdry. Having a blowdry was a real treat for me as I usually only have my hair blowdried following my cut and colour so to get a blowdry just because was a lovely way to spend my Thursday. I was heading out to supper with friends that night and it was lovely to be sporting a big, bouncy blowdry for the occasion. 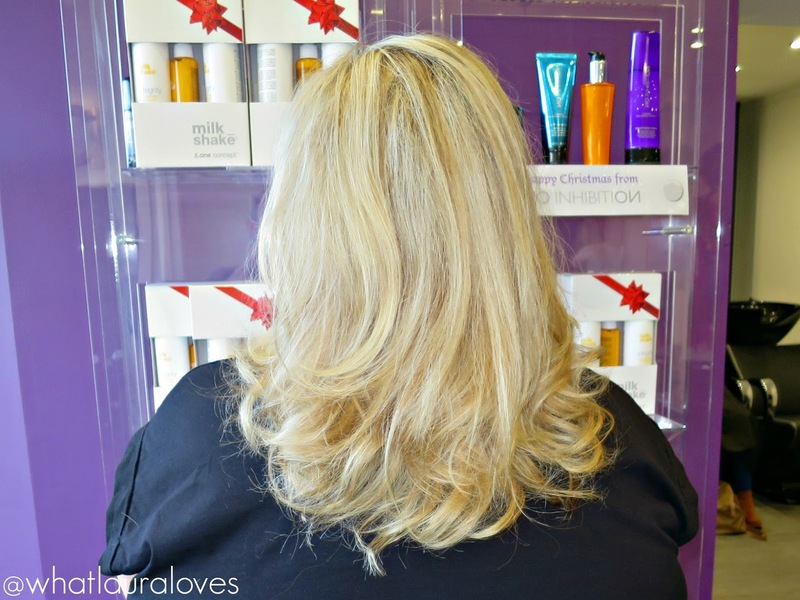 With all of those Christmas and New Year events coming up, it is the perfect time to book in for a blowdry. 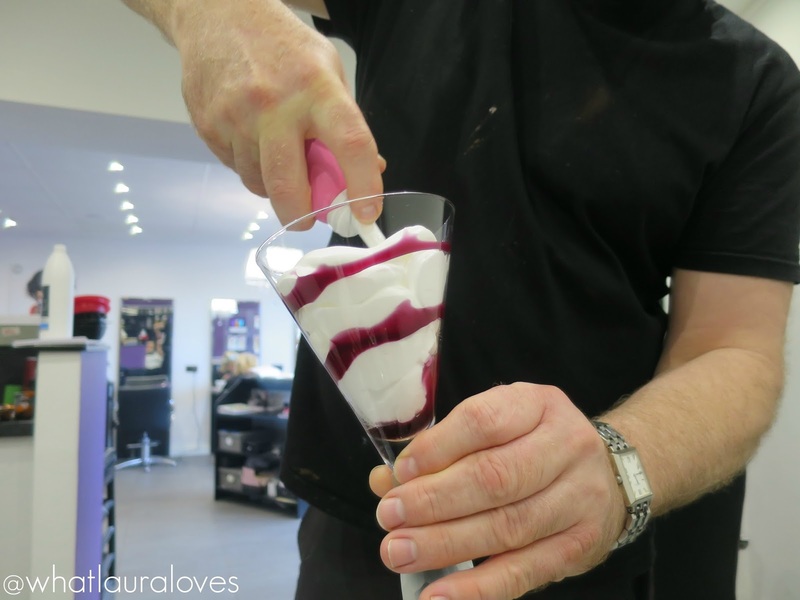 You can find a milk_shake salon in your area on their website here and all you need to do is to call and book in for a blowdry and mention that you’d like the free milk_shake cocktail treatment too. The cost of a blowdry varies from salon to salon but whatever the price, you’ll receive the cocktail treatment for free. Plus you’re able to purchase their award-winning Leave-In Products (Whipped Cream, Incredible Milk and Leave In Conditioner) at an exclusive 20% discount. This milk_shake treatment is a great way to enjoy a cocktail this festive season without a hangover the next day! What are your favourite milk_shake hair products? Your hair looks lovely Laura. 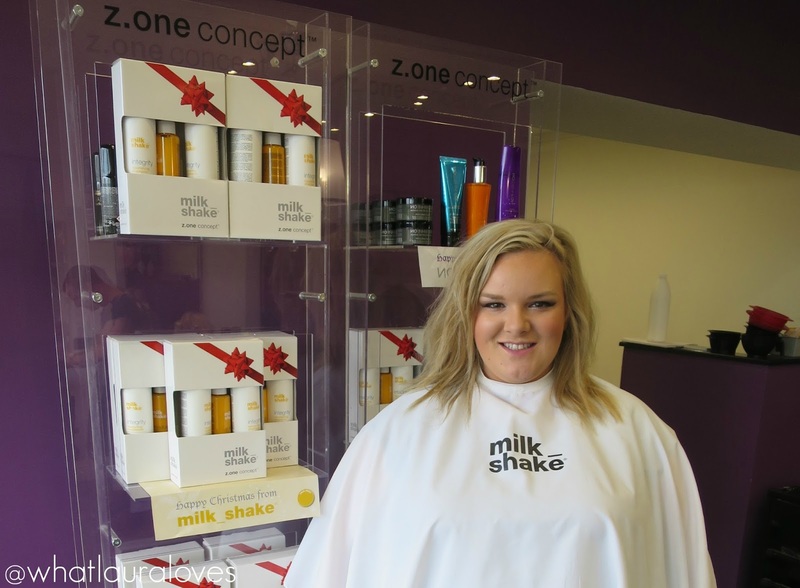 I must check out Milk Shake treatments, they look great for your hair. OMG that product looks SO cool! 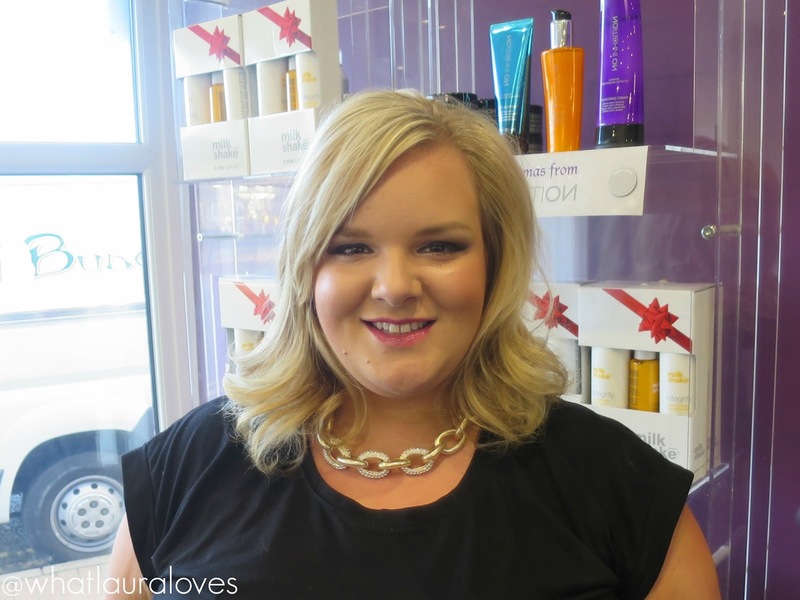 I LOVE your blow out too – it looks FANTASTIC! oh such a nice initiative!! 🙂 I like when hair dressers take time to really get to know your hair and what you want! What an interesting treatment!! Looks fun! This looks amazing and so unique! I practically want to eat the hair products though. You hair looks brilliant! Your hair looks fantastic! What a fab idea! Your hair looks AH-MAZING. I love the idea of the treatment being fully tailored to your hair's needs. Not sure about the whole novelty cocktail glass thing though! oh thats looks amazing! I really want to try this one! I need milk_shake! Wow loving the hair. It looks bouncy and silky. The transformation from just a conditioner milkshake is amazing. I love being pampered but it doesn't happen very often. Your hair looks great. I've never tried any Milkshake products before though. Well I thought that was going to be something to enjoy whilst someone did you hair!